In the year 2007, our band performed the song "In the end". 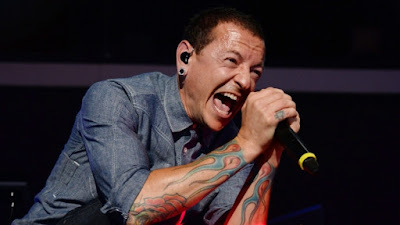 I saw the video more than 100 times to imitate each and every single body language of Chester Bennington before singing this song with my band. We fumbled on stage. He committed suicide early today and I felt numb listening to his songs this morning after realizing that he is gone. His song “In the end” used to be on the song list of every college band in India in the early 2000s. He never came out of his drug addiction or his depression. But what is so hard to digest is the fact that he was a performer of a totally different level, with a huge fan following and everything seemingly was going right for him. But still he was highly depressed in life. No one understood what he was actually going through in his life. And suddenly he is gone. Anyone can commit suicide and everyone at some point of time might have contemplated suicide. If you are in a Corporate environment and if you are reading this now, just read the following lines carefully. It will be of great help to you because workplace suicides are on the rise. Most suicidal individuals give warning signs about their suicidal intentions like talking about killing or dying, writing poems on death, buying harmful elements, settling will, giving away prized possessions, calling their friends & colleagues and suddenly saying good bye and many more. A suicidal person will lose interest in day-to-day activities and show big changes in eating or sleeping habits too. There are many more warning signs that you can spot. The best way to help someone like them is to find these warning signs and have the ability to respond to them once you spot it. You can play a vital role by pointing a suicidal person to a doctor or a psychologist if needed. The next time, you see a series of depressing messages from someone on Facebook or any other social media channel, make sure that you are there for them to take them out of their depression. Be that friend you always wanted to have for yourself. I am running this blog all these years for this one sole purpose - that is to put a smile on people's faces. It gives me a great sense of happiness to know that people smile even if the blog has poorest of poor jokes. Just go ahead and make someone smile today.